The Jerusalem Debate: An excellent series on a challenging topic…. Having just returned from Jerusalem and celebrating my second feast in the Land, I can tell you that being there changes me. 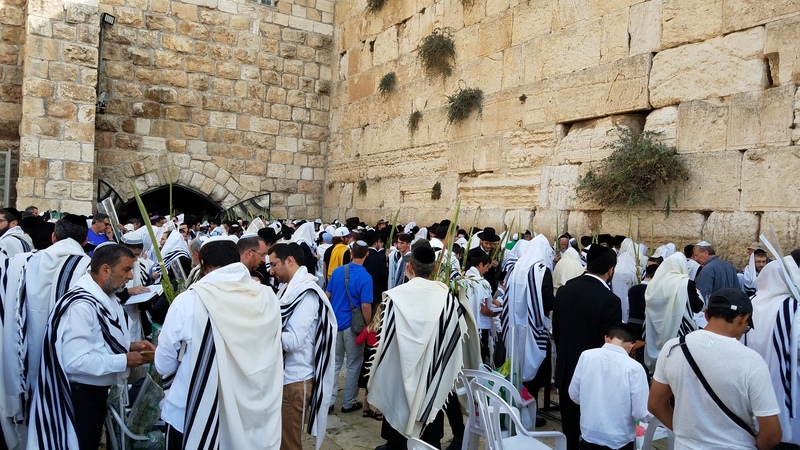 You may also understand from numerous travel posts concerning our most recent trip, being in Israel at the pilgrim feasts has a profound effect on Judah to see us in the Land. Oddly, there are a number of objections given for why some people do not go up for the feasts. Following is an introduction to the subject written by Sue Wyatt with some forewords by the Barking Fox and then a series of short articles written by Bob Parham and hosted by Lamb’s Servant. I HIGHLY recommend taking the time to think through and wrestle with this material. You will be challenged and, I think, changed! Buckle your seat belt…. This entry was posted in A Thought... and tagged Hebrew Roots, Jerusalem, Messianic, Passover, pilgrim feasts, Sukkot. Bookmark the permalink. 4 Responses to The Jerusalem Debate: An excellent series on a challenging topic…. I have been so blessed by this teaching as I searched and read through the Scriptures. It has answered some questions I have had. Thank you for sharing. I now, with greater fervor and commitment to FATHER, say…” Next year in Jerusalem!” with YHVH’s provision! Wonderful!! I hope to see you there!